What’s the difference between halfway houses, recovery homes and sober livings, 3/4 houses and other transitional residential environments? Depending on where exactly you are in the country, there tends to be different terminology often used in describing these types of residential recovery environments. Here in Pennsylvania and nearby regions, for instance, we commonly hear descriptive terms such as, halfway house, 3/4 house and recovery home. 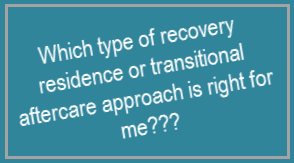 Other regions like California and Florida are more prone to using the term sober living or aftercare/transitional housing when referring to someone looking for a post-treatment plan. 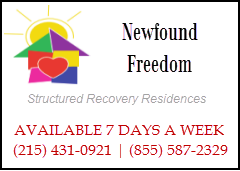 Speaking in terms of Newfound Freedom’s services here in Pennsylvania, the terms we use are “recovery houses” and “sober living homes.” They’re basically synonymous with another, however we do use the clear distinction of “phase one” and “phase two” residences. The phase one consists of a highly structured 6-month program that can essentially act as an affordable drug rehab alternative. Phase two however, is more along the lines of transitional housing which, offers substantially more freedom while still implementing a variety of standard rules and restrictions. In some areas around the country, halfway houses are actually licensed treatment environments that offer a longer term options as compared to the typical 28-day inpatient program. Their corresponding step-down is of course the 3/4 house, which would basically be somewhat similar to our phase two residences. 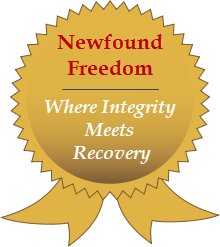 The term “sober living” is a bit newer and has grown dramatically in popularity. For instance, out in California, which happens to be the mecca for transitional housing with its many hundreds of options, it’s basically the only term used. The trouble with this can sometimes be that their remains no distinction in level of structure. For this reason it’s extra important to read through their websites and/or brochures as a means for understanding what type of structure and requirements are in place. At the end of the day, many of these terms are used interchangeably. There is no across-the-board standard in terminology on a national level; it’s mainly region to region. Be sure to ask many questions, and equally important, be sure they have a clear understanding of yours or your loved one’s situation.